The Waterstones Eleven 2013 Round Up – What Did I Think? The eleven debut authors pictured above were chosen in 2013 to be part of The Waterstones Eleven, debut books that showed tremendous promise. Previous Waterstones Eleven members have included Rachel Joyce, whose debut novel The Unlikely Pilgrimage of Harold Fry was 2012’s best selling debut overall, and was even long-listed for the Man Booker Prize in the same year. It is also one of my favourite books of all time. The Land of Decoration by Grace McCleen was part of the Richard and Judy Bookclub and also went on to win the Desmond Elliott prize. As a result, I had quite high hopes for this group of authors and was looking forward to reading their work. For all my reviews on The Waterstones Eleven of 2013, please see my previous post HERE. Instead of going through each of the books in turn, I’ve thought up some quick and snappy questions that will hopefully summarise all of the books in this challenge and how I felt about them. Favourite book on list? Why? It’s a choice between two. Y by Marjorie Celona and Burial Rites by Hannah Kent. The first book was written so beautifully I didn’t want it to end but was also quite harrowing and insightful at points. Burial Rites is based on a true story of the last woman to be executed in Iceland. Again, some fantastic writing and a story that stays with you long after you’ve finished the book. I visited Iceland recently and was pleased to confirm that the author did a perfect job in describing the country and the sense of desolation in some parts, like you are the only person in the world. Least favourite book on list? Why? 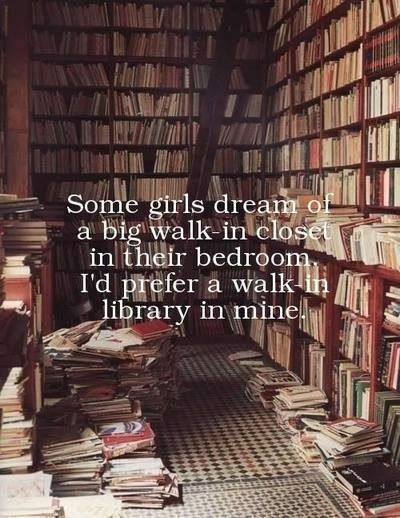 I think it would have to be Ballistics by D.W. Wilson. I just didn’t get on with this book at all and made myself finish it for the sake of this challenge. The writing is excellent and I can see why the author is part of the Waterstones Eleven, but unfortunately it wasn’t my kind of book. Book that surprised me the most? Why? 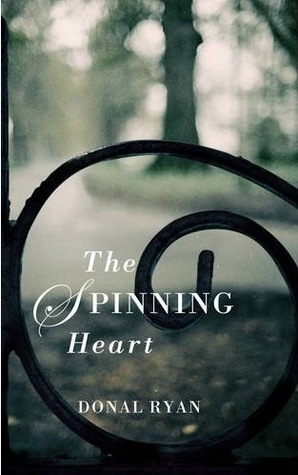 I’m going to go for The Spinning Heart by Donal Ryan purely because of the style of writing and all the connections between the characters which definitely deserves a second read if only to join up all the dots. It is told in 21 short chapters, each chapter being a different voice in a small Irish community yet no voice is repeated. It wasn’t what I was expecting when I began the novel, (in a good way!) and completely deserved its long-listing for the Man Booker Prize last year. Strangest book on list? Why? The award for the strangest book on the list has to be Pigs Foot by Carlos Acosta. For a debut novel, it was very accomplished and I can see what the author was trying to do. Overall, I enjoyed it, but some of the fantastical elements were a bit difficult to get through. However, I loved reading about the history of Cuba and thought the author presented it very well. Author I would be willing to “give another go?” Why? Without a doubt it would be author of The Fields – Kevin Maher. I thought that the story in this book was immensely powerful and enjoyed the style of writing but was slightly disappointed by the ending which seemed to go off on a sort of tangent. I was also lucky enough to listen to Kevin in person being interviewed at the Hay Festival in 2013, and he came across as very likeable and talented. I will definitely be watching out for his next book. Author with the most promise? Why? Again, it is between two books the first being Ghana Must Go by Taiye Selasi. The writing in this book was extraordinary, poetic and beautiful and she is definitely one to watch out for in the future – a potential Man Booker winner perhaps? The second is the author of The Universe Versus Alex Woods – Gavin Extence. A brilliant, unique story that just begs for a sequel. Book that had a lasting effect on me? Why? The Son by Michel Rostain is a powerful and moving novel about a man’s grief when his son dies. It was even more powerful to think that this novel was based on what had actually happened to the author himself. It was emotional to read and I still think of it occasionally months later. I really enjoyed taking the Waterstones Eleven challenge, and found some great books and new authors. Hopefully you now feel inspired to check some of them out yourself! As he sets out to find the lost village of Pata de Puerco and the meaning of the magical pig’s-foot amulet he has inherited, the search for his country’s hidden history becomes entangled with his search for the truth about himself. Through a vivid, if not entirely reliable, retelling of the stories of his ancestors we live the tumultuous history of Cuba through Oscar’s eyes, from the arrival of slaves through the wars of independence, to Bacardi rum, dictatorship, revolution and, finally, to a freedom of sorts. Pig’s Foot is the last novel that I read in the group dubbed The Waterstones Eleven for 2013. 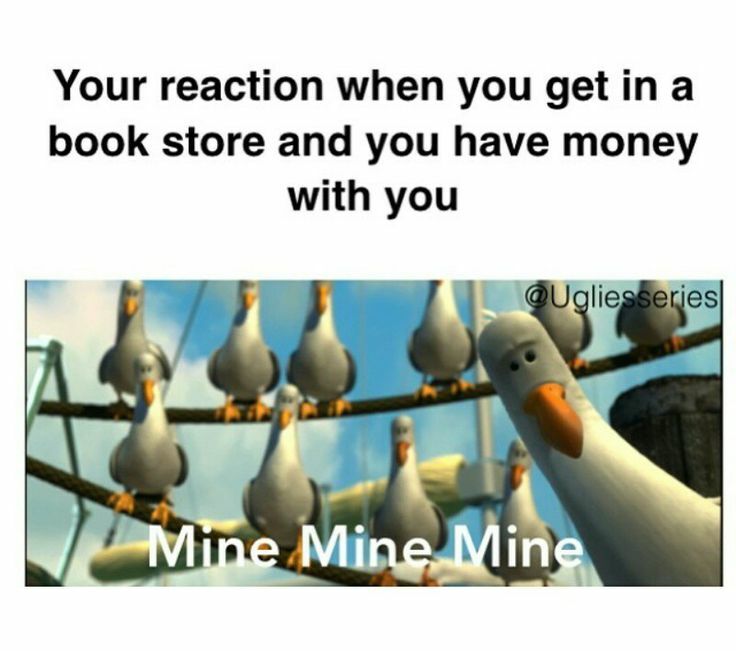 Please see my previous post HERE for information and the reviews of the other ten novels. My interest in this book was piqued not only because it was part of the Waterstones Eleven, but because the author is principally known for being a Cuban born British ballet dancer. As a dancer, he won numerous awards for his roles and was also a member of the Royal Ballet in London. More recently, he was appointed Commander of the order of the British Empire (CBE) in the 2014 New Years Honours List for his services to ballet. No Way Home – A Cuban Dancer’s Story, published in 2007 tells the story of his rise from poverty in Havana to becoming the lead male ballet dancer in the world. But is he any good as a novelist? The narrator for this story is a young(ish) man called Oscar Kortico who is desperate to find out where he comes from, historically speaking. He has in his possession a lucky amulet in the form of a pig’s foot and he proceeds to tell us the story of a hidden village in Cuba called Pata de Puerco and how he came to discover the story of his ancestors and the meaning behind the mysterious pig’s foot. Oscar’s story begins in Cuba in the 1800’s and he takes us through the politics and history of his country seen through the eyes of four generations of the same family, from the days when slavery was the norm to the present times when Oscar takes over to tell his own story. I really enjoyed reading about the history of Cuba in this way, although I was less interested in the politics side. At times however the factual information appeared in little chunks in peculiar places and sometimes this interrupted the general flow of the story-telling. Our narrator Oscar also seems slightly unreliable but this is an intentional ploy by the author that leads to quite a dramatic and unexpected ending. While I do think that Pig’s Foot is an impressive debut, and there are moments of genuinely high-quality writing I wasn’t blown away by it and found the fantastical elements a bit hard to swallow. COMING UP: The Waterstones Eleven 2013 Round Up – What Did I Think? If you’ve approached Bains Stores recently, you’d be forgiven for hesitating on doing so. A prominent window advert for a discontinued chocolate bar suggests the shop may have closed in 1994. The security shutters are stuck a quarter-open, adding to the general air of dilapidation. A push or kick of the door triggers something which is more grating car alarm than charming shop bell. To Arjan Banga, returning to the Black Country after the unexpected death of his father, his family’s corner shop represents everything he has tried to leave behind – a lethargic pace of life, insular rituals and ways of thinking. But when his mother insists on keeping the shop open, he finds himself being dragged back, forced into big decisions about his imminent marriage back in London and uncovering the history of his broken family – the elopement and mixed-race marriage of his aunt Surinder, the betrayals and loyalties, loves and regrets that have played out in the shop over more than fifty years. Taking inspiration from Arnold Bennett’s classic novel The Old Wives’ Tale, Marriage Material tells the story of three generations of a family through the prism of a Wolverhampton corner shop – itself a microcosm of the South Asian experience in the country: a symbol of independence and integration, but also of darker realities. This is an epic tale of family, love, and politics, spanning the second half of the twentieth century, and the start of the twenty-first. Told with humour, tenderness and insight, it manages to be both a unique and urgent survey of modern Britain by one of Britain’s most promising young writers, and an ingenious re-imagining of a classic work of fiction. This promising debut novel was part of the Waterstones Eleven for 2013, please see my previous post HERE. It is a contemporary work of fiction set in Wolverhampton which follows the lives of a British Asian (specifically Sikh) family who own a corner shop and have two daughters. Kamaljit is the elder sister and possibly more traditional than her younger sister, Surinder who is desperate to carve a career for herself away from the familial duties of the shop. Their father, Mr Bains is ill and spends most of his time in bed upstairs leaving the running of the shop to his wife, daughters and some family friends. The girls mother is a devout Sikh and takes great pains to try and arrange for both of her daughters to be married off. This is terrible for Surinder, who wants to carry on with her studies at school, and feels guilty for wanting to better herself against the traditional Sikh values. The other narrative of this story is set slightly in the future, when the daughters have married. Our narrator is Arjan, who is the son of Kamaljit and her husband Tanvir, currently managing the family shop. Arjan is desperately worried about his mother who is left behind to run the business, and he questions her coping strategies after the loss of her husband. There is also a bit of a mystery going around surrounding Surinder, who eloped with an English salesman and hasn’t been heard from since. Arjan ends up giving up his job as a graphic designer to help his mother and ends up re-evaluating his life and uncovering old family secrets threatening his own relationship with his fiancee Freya. There is so much going on in this novel that at times it can be difficult to keep up, however it moves along at a nice pace keeping the reader interested as to what will come next. Parts of this story were very intriguing, especially the difference in Sikh castes and how individuals from lower castes are viewed and treated by other Sikhs. I also thought the issue of race was very well handled and there were certain parts that made me quite disgusted, as I believe racism of any kind is abhorrent. However, the author kept a nice balance of humour that did not make light of race issues, but put a smile on my face nevertheless. This brilliant debut novel first came to my attention when it was picked for the Waterstones Eleven this year, please see my previous post HERE. It is based on a true story set in Iceland in 1829, where three people are charged with the murder of two men, Natan Ketilsson and Petur Jonsson and are awaiting execution. Our main character, Agnes Magnusdottir is one of those three, and they mean to make an example out of her by proceeding with her sentence, whilst giving one of her conspirators a reprieve, mainly for being a “pretty young thing,” which apparently appeals to the public’s sympathy in a case such as this. The date of the execution of Agnes was also the last recorded instance of capital punishment in Iceland, so obviously the case is notable and more memorable. However, Agnes is proving a little too expensive to keep in the regular prisoner cells, so the District Commissioner Bjorn Blondal decides to house the prisoner with one of his officials on a small farm until the date of her death could be determined. The family concerned, consisting of husband Jon, his wife Margret and their two daughters Lauga and Steina are understandably terrified and disgusted to hear that they will be housing a murderer, and have no idea what to expect or how to act around her. Nor too does the local Assistant Reverend Tóti, when he hears that Agnes has requested him to be her spiritual advisor while she stays on the farm and before she meets her Maker. When Agnes arrives though, they are all taken aback when they come to realise that there might be another side to the story that they have not yet considered. Firstly, it is obvious when reading this novel how much effort and research the author must have carried out on this subject before writing it. It is told from a number of perspectives, the most interesting being Agnes, and the reader is swept along with the emotion of her impending death, and the brutality of the justice system. We are also treated to transcripts of letters at the beginning of each chapter written between those overseeing Agnes’ sentence, including details of the costings of the axe and other materials purchased especially for the execution, which seems fairly surreal but provided that touch of authenticity. Some parts of the story are fairly graphic and brutal, but at no time did I feel that this was too much, and in fact added to the poignancy of my reading experience. The characters were all written with considerable depth, and I still find myself thinking about them days later, and the harsh, unforgiving conditions and poverty experienced by many Icelanders at that time really gives the reader food for thought and complements the tale perfectly. This is a hugely talented author and a phenomenal debut, this is one author I will definitely be added to my “automatic buy” list. It is summer and the Canadian Rockies are on fire. As the forests blaze, Alan West heads into their shadows, returning from university to his grandfather’s home in the remote Kootenay Valley, where the man who raised him has suffered a heart attack. Confronting his own mortality, the tough and taciturn Cecil West has a dying request for his grandson: track down the father Alan has never known so that the old man can make peace with him. And so Alan begins his search for the elusive Jack West, a man who skipped town before his son could walk and of whom his grandfather has always refused to speak. His quest will lead him to Archer, an old American soldier who decades ago went AWOL across the border into Canada. Archer has been carrying a heavy burden for many years, and through him Alan learns the stories of two broken families who came together, got too close, and then fell apart in tragic ways. 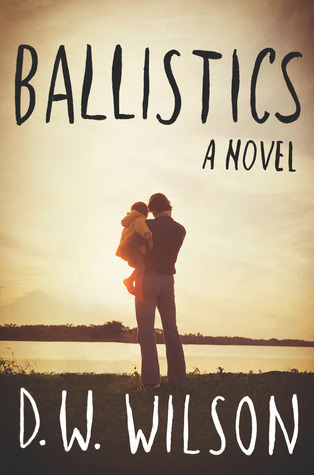 Ballistics is a remarkable first novel, about family ties and the wounds that can linger for generations when those relationships are betrayed. This is another of the debut Waterstones Eleven authors predicted for great things this year, please see my previous post HERE. The premise definitely sounded interesting, a man is searching for the father he has never known on the dying request of his grandfather who raised him from a baby. For some reason not known to the reader yet, Alan’s grandfather Cecil West and father Jack, have not spoken or seen each other for many years. Cecil hopes that by reaching out to his son at the end of his life he will dissolve the feud between them, and also allow his grandson to get to know his previously absent father. As expected however, there are many underlying and complicated issues present, not only between Cecil and his son, but tensions that have been festering for a while, involving an ex-soldier called Archer and his daughter Linnea, who becomes an integral part of the plot for all the men concerned. Unfortunately, I’m finding it quite difficult to formulate my opinions on this novel. On the one hand, it is an excellent piece of writing, with a storyline that is both clever enough to hook you in, and intriguing enough to keep you reading. If I were perfectly honest though, I’d probably come to the conclusion that despite these factors, the book wasn’t quite my sort of thing. I thought it was interesting in the way that the author explored the different sort of relationships i.e. father to son, husband to wife, and between good friends, and what happens in each of this cases if the relationship goes sour, and feel the author accomplished this tremendously. The whole style of writing in general though was incredibly “blokey,” (sorry to sound sexist, but that’s how it made me feel! ), and just wasn’t for me personally. I like to think that I read quite a wide range of material, and am neither prudish nor squeamish, but the balance of gun/car/fight talk tended to slant into overkill, and didn’t appeal to me. But to end on a positive note, the talent of the writing should not be under-estimated, and if you enjoy a story which analyses the fragility of human relationships this is definitely the book for you. We first meet Michel eleven days after the death of his son Lion. Lion was lost, suddenly, to a virulent strain of meningitis and the tragedy left his father and entire family reeling. We join Michel on his personal journey through grief, but the twist that makes the journey truly remarkable, and tips this true story into fiction, is the fact that we see it all through Lion’s eyes. In a stunningly original blurring of memoir and fiction, The Son tackles the very hardest of subjects in the most readable of ways. Michel Rostain resolutely ducks away from sentimentality and pathos, and tells his story instead with wit, wisdom, and vitality. For this is not a book about death; it’s a book about life. The Son is the June selection from the Waterstones Eleven debut authors – please see my previous post HERE. It is a highly emotional and moving read that blends memoir and fiction seamlessly, exploring grief and loss through the son’s eyes after his death as he watches his parents (specifically his father Michel) come to terms with their loss. Lion dies quite suddenly and unexpectedly after succumbing to the horror that is meningitis, and the story is told by flipping backwards and forwards from just before his death, to his actual death, the funeral, and the time afterwards which can only be described as heart breaking. I respect the author for the strength it must have taken to write this book, and enjoyed the moments of humour and the richness of the writing. I highly recommend it as a truly thought provoking novel which offers hope and positivity for the future ahead.